Advanced Fantasy Baseball: Remember Mark Prior? Don't Call It a Comeback. Remember Mark Prior? Don't Call It a Comeback. Mark Prior was once the man. He was a stud starter for the Chicago Cubs and helped propel them to one of their best seasons in decades. He was coveted by fantasy owners everywhere. But Dusty Baker was his manager, thus his arm was destined to fall off, and it pretty much did. Right-handed pitcher Mark Prior, who came out of USC with a hype along the lines of Stephen Strasburg, is still trying to piece his injury-plagued career back together. Prior, 29, will work out for major league clubs at USC on Wednesday. Prior, who has not pitched in the big leagues since going 1-6 in nine games with the Cubs in 2006, has been working with USC pitching coach Tom House, the former big-league pitching coach who has worked with Prior since his high school days in San Diego. Most major league teams are expected to have a scout in attendance. Prior was the second player selected in the 2001 draft, Minnesota opting for high school catcher Joe Mauer, and then Twins general manager Terry Ryan being criticized at the time for passing on a pitcher that many claimed was ready to step directly into a big-league rotation. 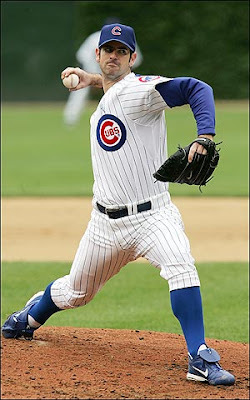 Prior did receive a then-record $10.5 million signing bonus, and appeared to validate the Cubs decision in 2003, his first full big-league season, when he was 18-6 with a 2.43 ERA. Prior, however, developed shoulder problems that required surgery after that season, and has made only 57 big league starts since. Prior seems a long way from being an effective pitcher for fantasy owners. However, you never know. Stranger things have happened than a former stud pitcher regaining some semblance of effectiveness again. He is worth watching but don't act too rashly. Why not call it a comeback? Sounds like one to me. Can Brennan Boesch Keep Hitting Like Pujols?